Quicklets takes you through the pros and cons of living in the 3 melting pots of the island. Choosing the right place to live can be a right headache since you have to compare important factors, like costs and proximity. Sliema, St Julian's and Swieqi are three of the most buzzing towns on the island, so if you're thinking about living in either one, it's wise to ask around. What's your budget? Do you have a family? Think about the noise levels! It can all be overwhelming so Quicklets has put together the pros of cons of each area to help you with your choice. Why are Sliema, St Julian's and Swieqi so popular? 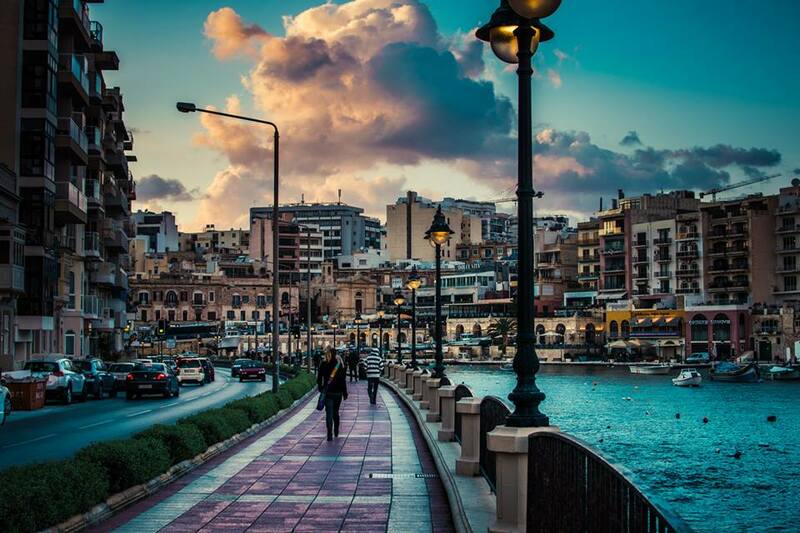 Firstly, Sliema and St Julian's are abundant in social and cultural amenities and are connected with tourism and nightlife. Sliema is the host of the annual Street Art Festival and St Julian's is filled with pubs and cafes, so social butterflies who like to be amidst all these activities are sure to fall in love with them. Secondly, these are busy areas. Sliema alone is home to 17,000 people—so being able to walk down the streets and meet friends can be a big reason to choose a place to live. The idea of walkability in these areas is a big one—being mostly commercial spots full of shops, restaurants and entertainment venues, they tend to having traffic and parking issues, so they in turn attract people who would rather walk. Lots of companies have relocated there and not having to hop in your car every morning, or at least having a shorter commute, is a plus for most. Even more, these are central areas and living somewhere with amenities all around you can significantly improve your quality of life. Most buildings are either brand-new or have been upgraded to higher standards. Going past these towns, you are likely to see the hustle and bustle that give them their character. Sliema and St Julian's stretch across a stunning 11-km promenade, often frequented by joggers and those on scattered benches admiring the views. Sliema is the biggest of all three towns, occupied by the most residents. The average rent for a one-bedroom apartment in these areas is €500–700. These areas attract expats and younger crowds. There are many shops, malls, restaurants, bars and beaches. Festivals and outdoor events are common and buses are more frequent. The party area, Paceville, is only a stone's throw away from St Julian's. Though they're mostly safe, there have been issues of theft and violence in Paceville. Being the smallest of the lot, Swieqi has less shops, restaurants and bars, and less traffic, making it a quieter place altogether. There are less bus routes going to the area, however it is only a 5-10 minute walk from its neighbouring town—St Julian's. Rent prices are some of the most expensive however, averaging between €900–1200. The place we choose to live in affects a big chunk of our lives. Our jobs and our homes are, most of the time, interdependent on one another. The activities we enjoy and the services we seek are all related to where we live. So whether your family is growing, you're changing job, or simply craving a change of scenery, comparing these towns will surely give you a clear idea of a new prospective hometown.